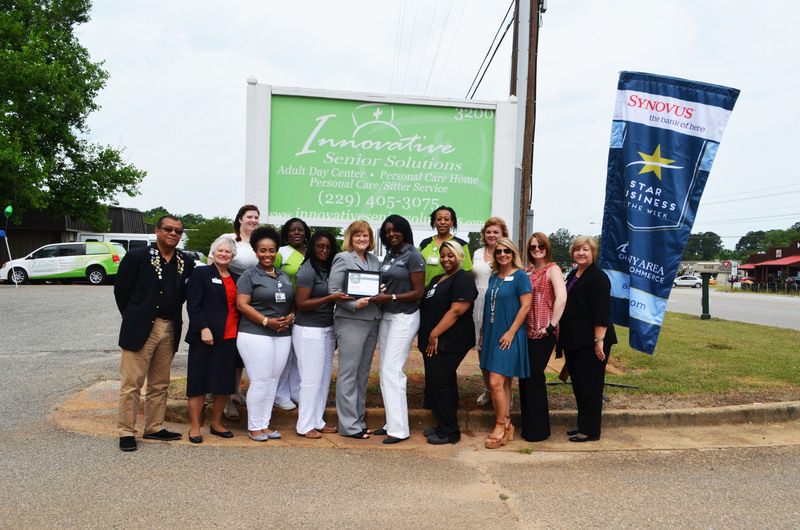 Congratulations to Innovative Senior Solutions, Albany Area Chamber’s Star Business of the Week! Innovative Senior Solutions has been in business since 2007 with the goal of keeping senior adults in their homes as long as possible by providing in-home and adult day care while offering a personal care home when home care is no longer possible. Caring, honesty, integrity, loyalty, passion, professionalism and reliability are the foundational core values that set apart the caregivers and culture of Innovative Senior Solutions. To learn more about the services offered by this Albany business visit innovativeseniorsolutions.com. This entry was posted in Star Business of the Week on May 14, 2018 by Mandy Kavanaugh.